Coming in at the top of August’s list since I’ve practically worn it every day this month. 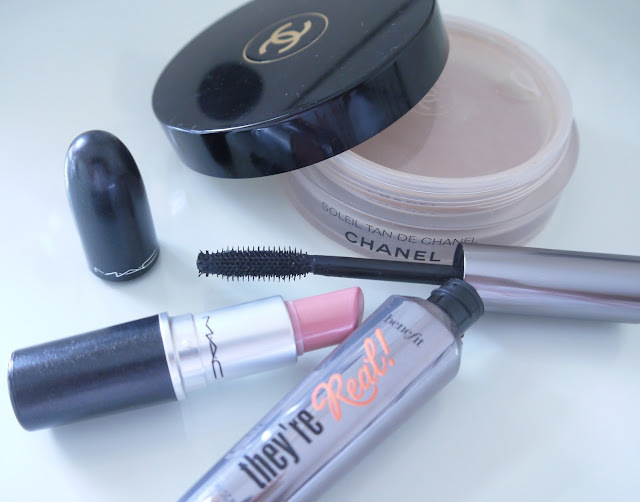 It’s creamy, glowy, light weight and dewy – I just love it. Read my full review here. Available from Space NK £33/50ml here and John Lewis here. 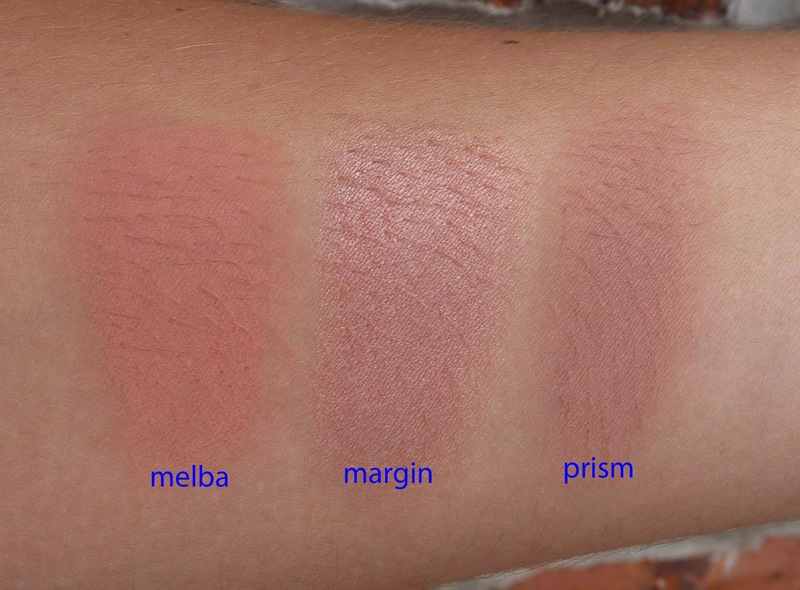 Deserving their own post, and they’ll get one soon, I’m super impressed with NYX Cream Blushers. I’ve been wearing Glow (a lovely bright pink) a lot this month. Don’t be fooled by its bright appearance. 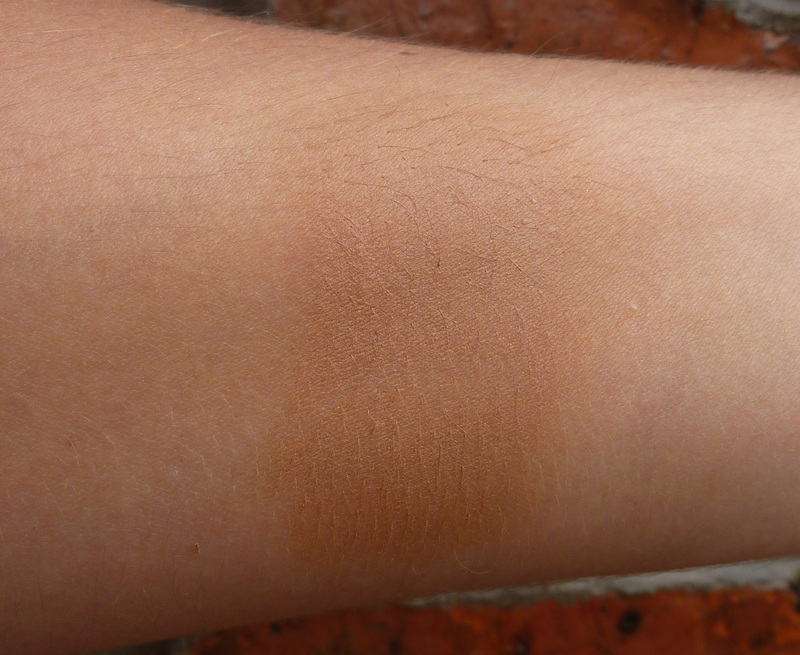 Despite being well pigmented it’s quite sheer yet buildable. This cream blush really makes my cheeks pop and gives a pretty youthful glow. I apply with my Read Techniques Expert Face Brush for flawless application. 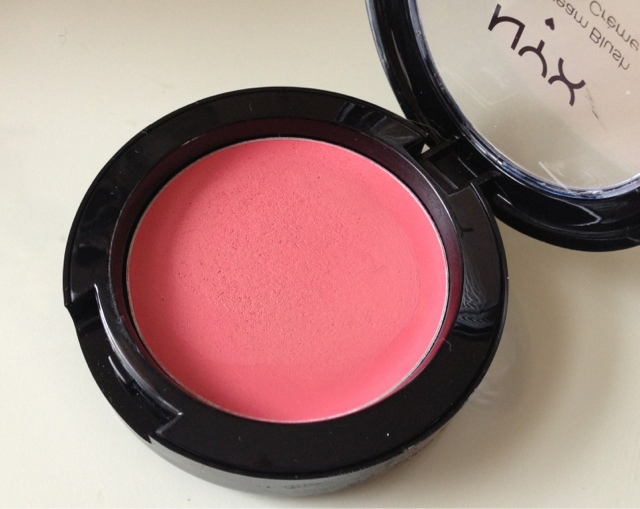 Cream Blush £5.50 here. Big hair, how I covet thee. 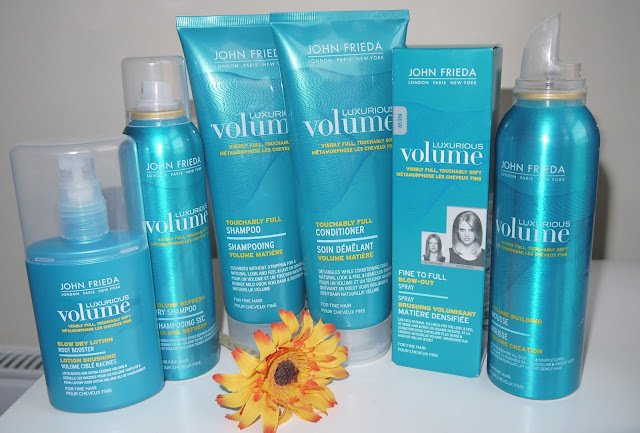 I can’t tell you how much money and how many products I’ve wasted in my quest for bigger, better hair and the only thing that’s really worked for me has been John Frieda Luxurious Volume Mousse. It gives body, volume and a great lift at the roots. But can the rest of the Lux. Volume line cut it? I’ve used this before (when the packaging was light blue) but stopped because it was a little harsh. It gave good volume but it tangled my fine tresses so much, even the tangle teezer couldn’t get through. So I was intrigued to see if the formula had changed with the packaging. This new version gives a real deep clean without stripping. The light weight formula works up a good lather without tangling and gives good body. The jewel in the crown – the best “volume” conditioner by far. See this one achieves what most others cannot – conditions AND gives volume. A rich, creamy, luxurious conditioner that instantly strengthens and detangles but at the same time it doesn’t flatten or soften the hair too much. 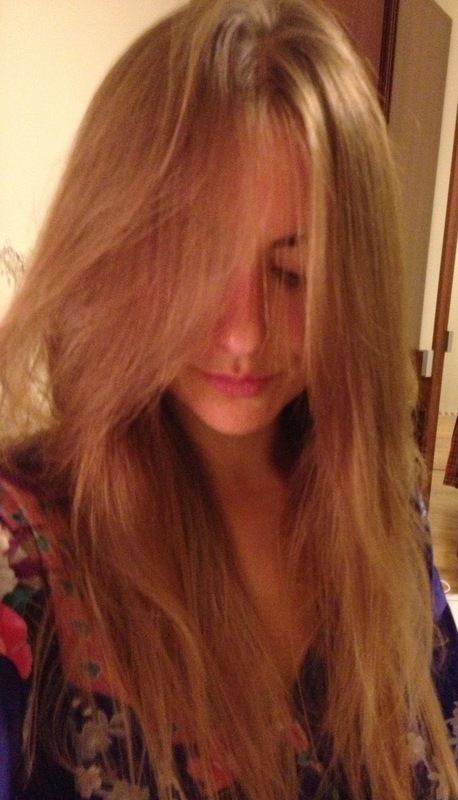 I don’t apply to the roots – mid to ends only, leave for a few seconds then rinse. This light spritz smells lovely and can be sprayed all over damp hair before blow drying. After spraying all over it left my hair feeling a little fuller but it didn’t give me any volume at the roots. Great for natural all-over strength and thickness, but not the va va voom volume I was hoping for. Now you’re talking! Again it can be srayed all over damp hair, paying particular attention to the roots. The completely light-wight, non-sticky formula thickens and lifts from the roots. I could see and feel the results immediately. Make sure you really get into the under sections and tip your head upside down whilst drying – I guarantee some serious lift. I used this together with the mousse (moouse all over, this on the roots) and oh my fat hair! First of all, this isn’t a dry shampoo in the traditional sense. If your hair’s greasy this won’t rescue you. 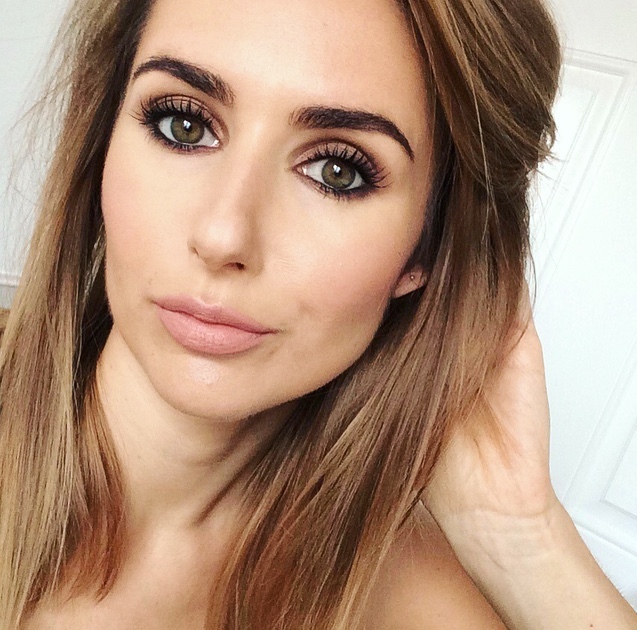 It’s more of a volumising texture spray – and I love it. Spray it all over – root to tip, mess it up and voila – texture and volume. Great just after your blow dry for that messy/textured look or any time you need a refresher. In fact, it's going straight in my handbag. Luxurious Volume really sums up this range. It gives good volume and at the same time feels luxurious and salon quality. I wouldn’t bother with the fine to full blow out spray but the rest get a big thumbs up from me. If it works on my flat, fine hair, it should work for anyone. See the range online at Boots here and Feel Unique here. 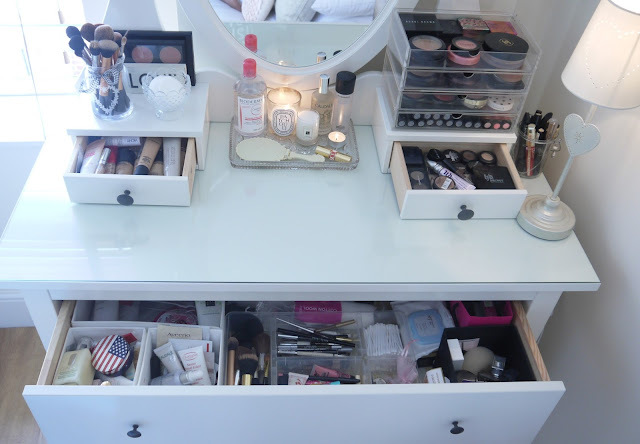 Argh, make up storage, one of my favourite subjects. In fact organising my make up is one of my favourite past times - tell me I'm not alone? 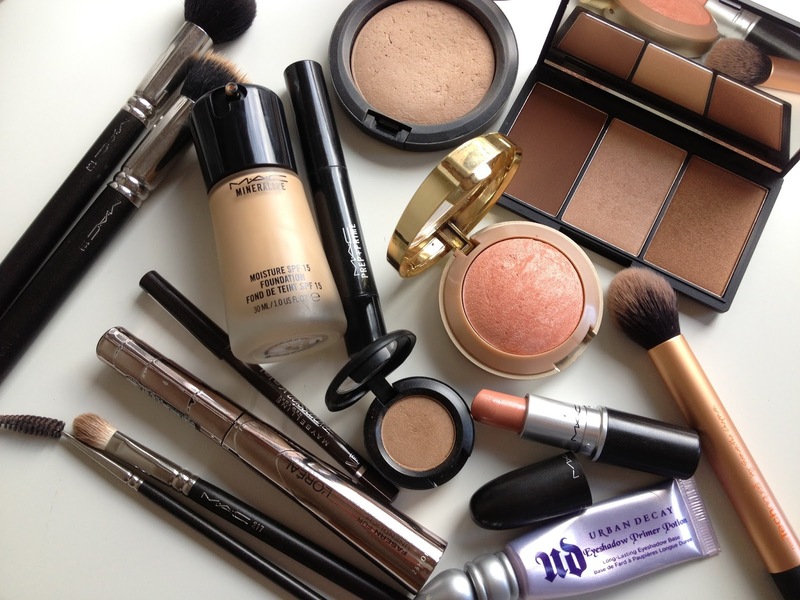 Gosh, I remember when my products fit in a standard make up bag, what happened? But lately it's been looking a bit cluttered so I've had another re-jig. The Dressers is from Ikea, part of them Hemnes range. The drawer version that I have is no longer available but the dressing table version is still for sale £190 here. I keep my most used brushes in this pretty pot (from a local interiors store, added the ribbon myself) on top of the dresser, the rest are in the top draw. It's less cluttered than having multiple pots up top and protects them from dust. This gorgeous vintage glass tray is an amazing charity shop find and keeps my skincare and candles looking tidy, plus my YSL lipstick because it's too gorgeous to hide away. Hand held butterfly mirror £2.95 dotcom gift shop here. Candle holder and love heart light from Next here. Hope you enjoyed having a peek through my space. Let me know what you think and please leave any links to your own storage in the comments box - like I said, it's my favourite past time. Yup, I've seen the light. 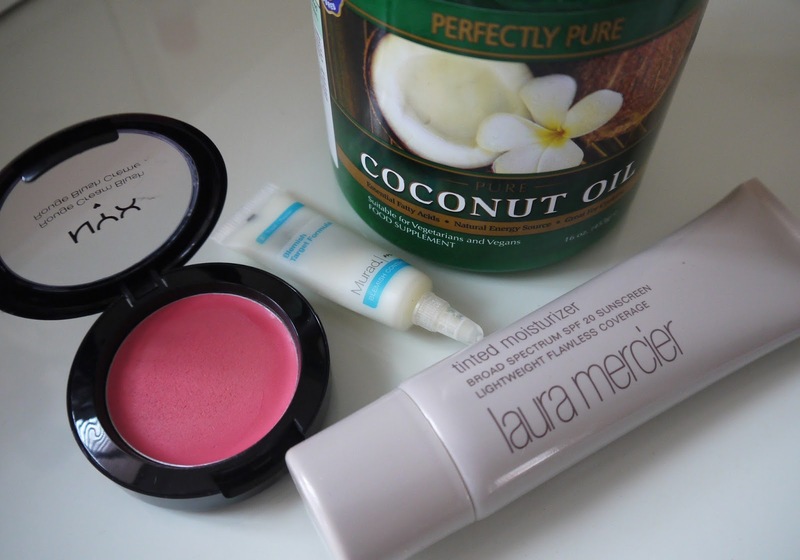 I'm a tinted moisturiser convert. See recently my foundations have felt too heavy. Maybe it's the heat or just a summer thing, but I started feeling like I wanted something lighter. I'm over the BB craze and can't be bothered with the CC thing, so naturally I looked to tinted moisturisers. And none have earned their stripes like Laura Mercier's. 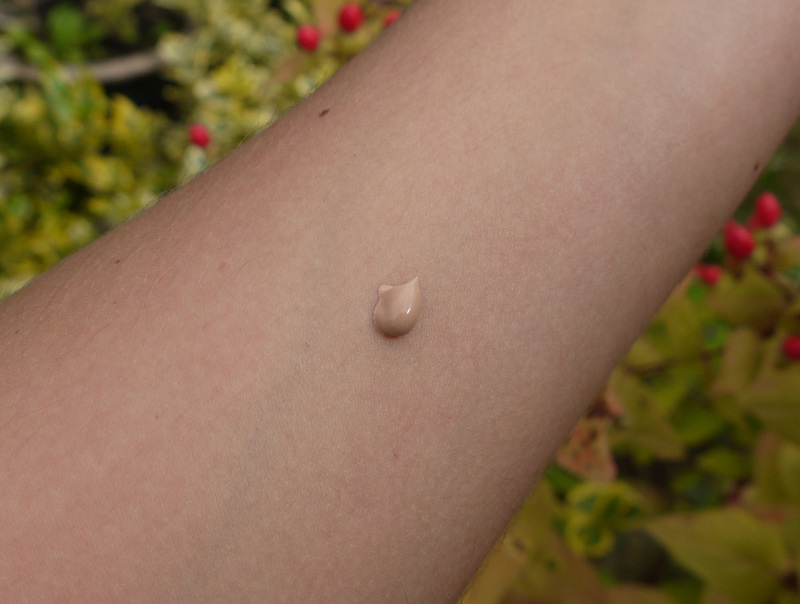 The product is fairly thick and creamy, like a rich moisturising cream, yet it's super light weight. Like a moisturiser it glides on and melts into the skin giving instant hydration. Now this is not a mask! 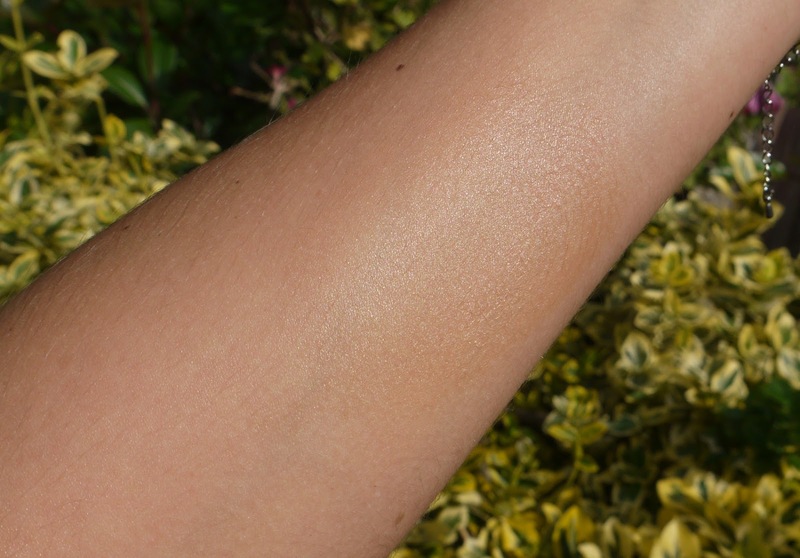 The coverage is pretty sheer and if you're new to tinted moisturisers it can take some getting used to. It gives just enough coverage to disguise dark circles and discoloration but it won't block out your skin. 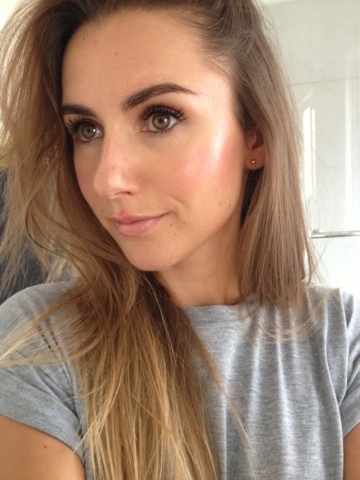 My skin looks plumped, hydrated and dewy with a natural glow that lasts all day. No makeup makeup, achieved! I apply with my fingers for a soft natural look and if needed, buff with a stippling brush - probably more through habbit than anything else because this melts in by itself. I've tried wearing it alone on bare skin, over moisturiser and over primer. All work well. Personally I need a bit more moisture around my mouth and nose so I pat some moisturiser on those areas first then apply the tinted moisturiser. 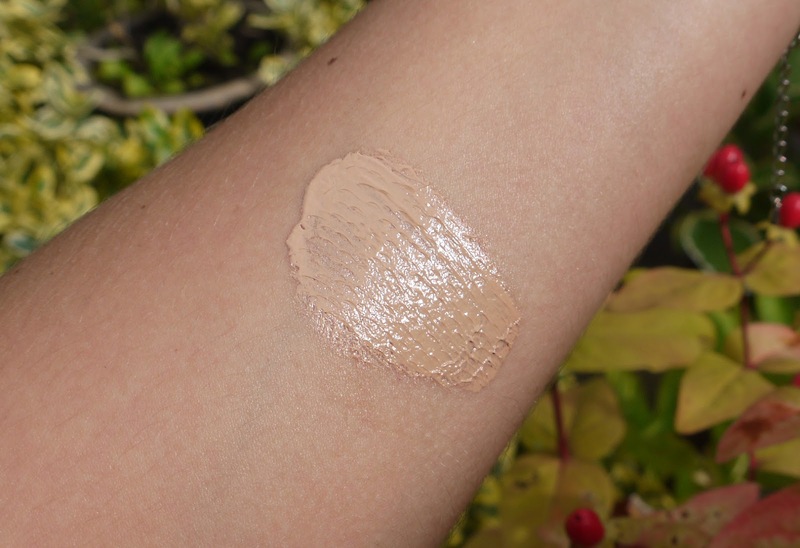 Although sheer, the coverage is buildable. I apply a little extra around my nose and cheeks where I need a bit more coverage and it helps to even out my skintone. There's ten shades available in the UK, I matched closest to sand. I personally think it's a little on the light side right now, but once my summer glow fades (and it's starting to) it should be perfect. I guess the one drawback would be the price. At £33 it's more expensive than most of my foundations, but it's a 50ml tube. Most foundations are 30ml so you're getting more bang for your buck. FYI, I'm not turning my back on foundations, just reserving them for evenings, occasions and bad break out days. Over the years this tinted moisturiser has earned cult beauty status and now I know why. Laura Mercier Tinted Moisturiser £33 here. Also available in Oil Free and Illuminating all with SPF30. Let me introduce you to my capsule blush wardrobe - a collection of my favourite MAC powder blushes. From peachy corals to soft pinks to bronzy shimmer, I've got it covered. MAC recently overhauled their pro palettes so I’m glad I held out. 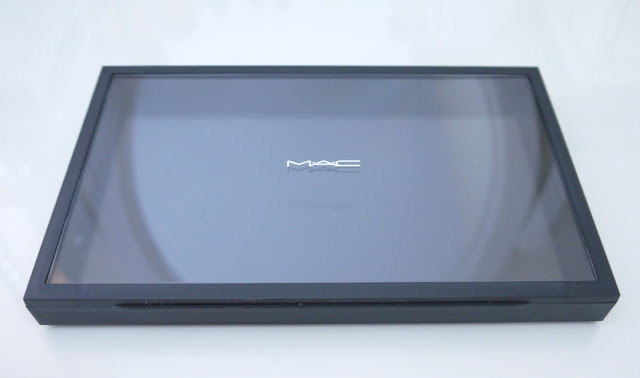 The new and improved versions are more like the Z Palette, an empty magnetised palette with a see through window so you can see exactly what’s inside. They’re slick and sturdy, can store blushers and eyeshadows and can be used with or without inserts. 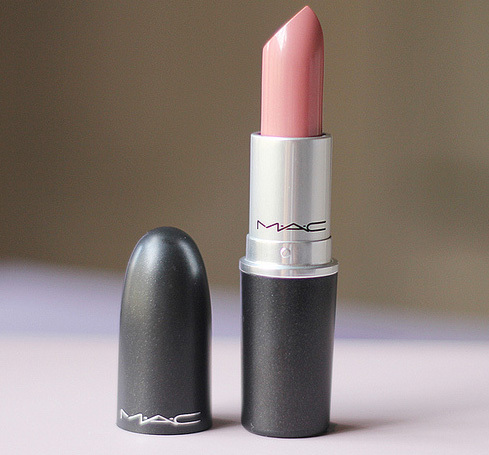 Melba (matte) - Described as a “Soft coral-peach”, I’d say it’s more of a medium peach with a tiny hint of rosiness. Despite the “bloggers hype” I dismissed this shade so many times. It looks pretty dull and dirty in the pan and I’m not a fan of matte... or so I thought. It’s just one of those shades that magically transforms on the face. It’s great everyday shade that really warms my face and despite the “matte” tag it’s not at all flat. Give in to the hype, it's worth it! Margin (frost) - Described as “Peach with golden shimmer”. It’s a great everyday bronzy blush with a natural shimmer. It's a guaranteed pick me up. I love a frost finish on my cheeks – almost like a blush and highlighter in one. It’s one of my most used shades and is lovely mixed with a bit of Melba or Prism. See full review here. Prism (matte) – Described as a “Muted pinkish-brown” it’s the perfect neutral shade. It might look super boring in the pan but I swear it’s one of MAC’s hidden gems. Not too pink, not too peach. If you’re rocking heavy eyes or lips or BOTH and you need something neutral on your checks, this is the one. Also works well with a red lip. 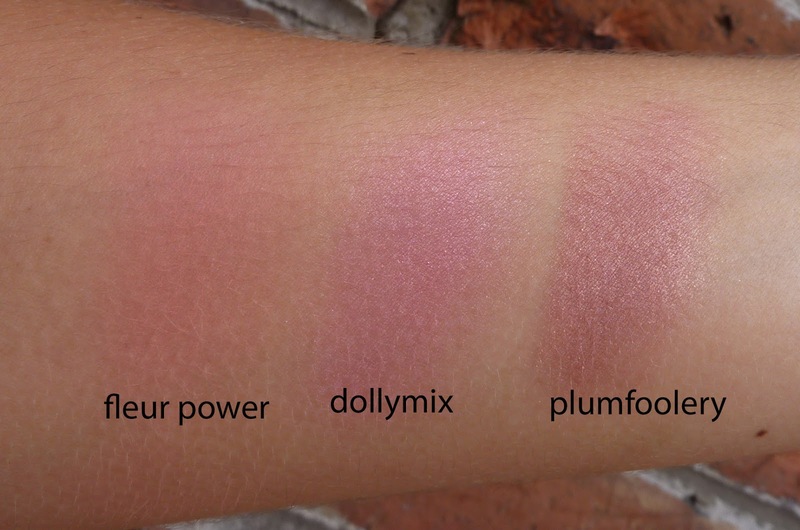 Dollymix (sheertone shimmer) - "Pure candy pink". 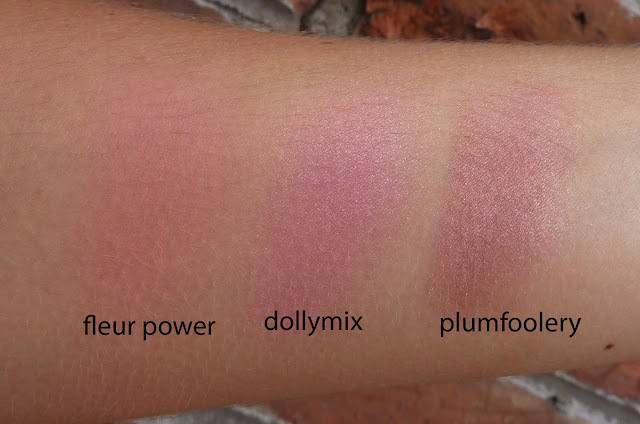 Argh, Dollymix... it’s not just for dolly birds like I previously thought. Despite looking like clown makeup in the pan it actually applies quite sheer. A pretty, brightened rosy pink with a subtle shimmer and a gorgeous sheen. Full review here. Plum Foolery (sheertone shimmer) - Representing the plum family, this “Faintly plum” blush is a gorgeous plummy pink with a strong shimmer. I like plum shades, especially in autumn/winter and this works really well with berry shades and darker lips. It's quite a dark blush and very pigmented so go steady. What would be in your capsule collection? For mobile, fuss-free, mess-free, makeup touch ups/removal on the go. Sounds good? I think this could be a useful addition to my stash. When it comes to winged liner, there's always one eye that goes wrong, right? Unfortunately there's no price information on this one and it's not available in the UK yet. The perfect multi-tasker for travelling, this creamy 2 in 1 crayon can be used to line the eyes or be smudged and blended as an eyeshadow. Developed with professional make up artists these eyelash curlers certainly look the part and they come with three additional refill pads. I'm not really one for eyelash curlers. My lashes are long and look pretty ridic if curled, but it's been a while. I'll give them a go. Concentrated rinse off treatment shot in a handy little size, ideal for summer holidays to help combat sun, sea, chlorine damaged locks. Well not from India exactly, but founded from ancient Indian principles. The UrbanVeda range has been formulated to naturally combat pollution, leaving skin less vulnerable to the environment. This daily radiance face wash contains turmeric, papaya and coriander... interesting. Remember last year's "International Superstars" box (see it here)? Filled with cheap tat from around the World, it was the worst box ever! Fortunately one year on Glossybox have learnt their lesson. I'm not saying I'm in love with this box, but it's an interesting mix of products and I think I'll find use for all five products. Is it worth £12.95? This month, probably not. Find out more and subscribe to Glossybox or buy one off boxes here. Anyone get the same as me? The base is pretty standard for me – I lightly buffed in MAC Mineralize Moisture Foundation NC30 with my beloved MAC Duo Fibre 130 brush. It gives a medium coverage and a very dewy finish (full review here). I applied some MAC Prep and Prime highlighter in Light Boost under my eyes and along the bridge of the nose, again buffing with the Duo Fibre brush. To finish I dabbed a little Mineralize Moisture Skinfinish Powder along the T zone to minimize the shine. Next, the super product that is Sleek Face Form. This sculpts, bronzes and highlights (full review here). 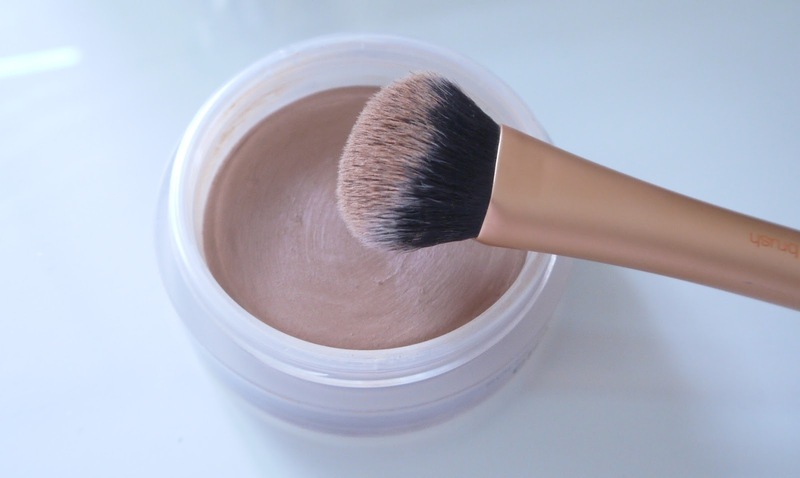 Using the Real Techniques Contour Brush I very lightly traced the brown powder under my cheeks to create something that resembles cheek bones and swept the bronzer around the usual places – hairline, temples, jawline, cheeks... you know the drill. I dabbed a tiny bit of the highlighter on the top of the tops of the cheekbones and rounded off with a pop of Milani Blush in Luminoso (from America) on the apples of the cheeks. It’s a beautiful glowy peach. Keeping the eyes pretty simple I swept MAC Soba – my new do-it-all shade over the lids and paired with Maybelline Expression Kajal liner in Brown. As always I filled my brows with a touch of HD Brow palette and coated my lashes with a quick slick of L’Oreal Telescopic Mascara. Lastly a swipe of MAC Shy Girl lipstick straight from the bullet and Voile... a peachy, dewy, bronzey face.